Lately it seems there is not a day that goes by when we don’t see something on morning television or the evening news about a research breakthrough - whether it be a cure for a life-threatening disease, or a new study confirming that chocolate and wine are good for you (I’m particularly fond of these). When you think about it research is all around us. Some people devote their entire lives to researching a particular concept, just to improve the lives of others. Today we are fortunate enough to have access to vaccines for devastating diseases like polio, measles and cervical cancer, lives are saved because of advancements in surgical technologies, and we can now understand and protect our environment better than ever before, all because of research. Where would we be today if someone somewhere hadn’t embarked on a journey to uncover these findings? Research is about knowledge, and knowledge changes lives. I’m very proud to lead a university that has an absolute commitment to excellence in research and innovation – even more so because much of the research conducted at CQUniversity places an emphasis on issues that directly affect the Central Queensland region. 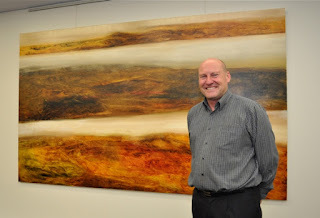 Take for example research into the effects of FIFO/DIDO lifestyles on workers and their families, or studies into water quality changes and the impact on the southern tip of the Great Barrier Reef. 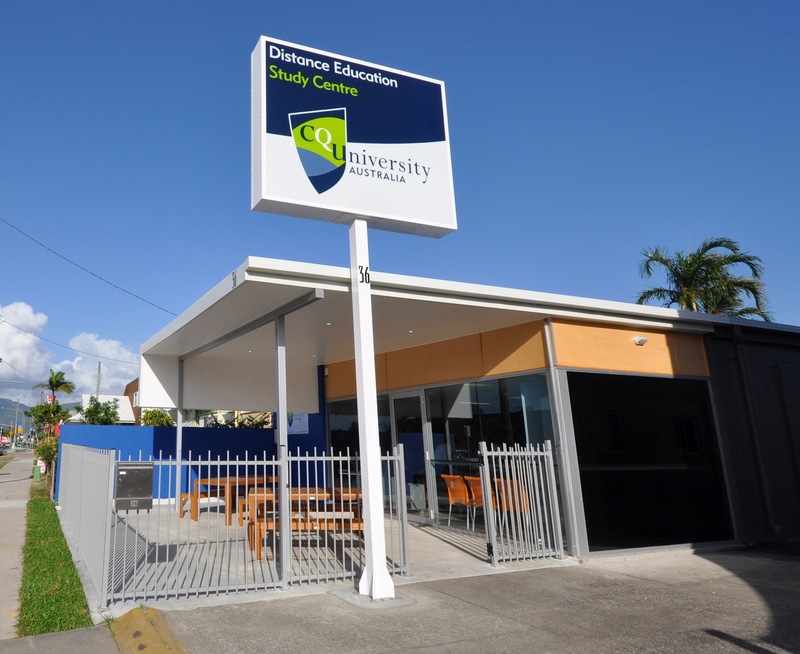 CQUniversity’s research institutes and centres facilitate research projects in areas such as environmental management, railway engineering, power engineering, business, health, physical activity, domestic and family violence, and education. We also aim to achieve complete relevance in our research efforts through strong links with industry, government and our community, as well as through tight collaboration with national and international researchers and research networks - good research, which is relevant, always involves a high level of engagement. It’s also important to remember that research isn’t just about medicine and science. Research can focus on all types of issues that are part of our everyday lives. CQUniversity’s Noosa campus recently hosted the first International Cookbook Research Symposium, our nursing school uses puppets and masks to aid in education and research, and we are now shaping up as an emerging Indigenous research university. It’s a far cry from the traditional stereotype of the scientist in a white lab coat huddled over a Bunsen burner – although we do a fair bit of that too! 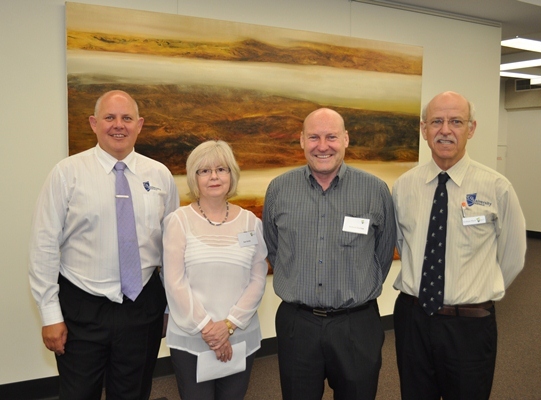 CQUniversity’s future research efforts have also been boosted by the establishment of the Central Queensland Innovation & Research Precinct (CQIRP) in Rockhampton. This facility, valued at around $30 million will allow us to further expand our research efforts and scope over the next 10 years, and will position Central Queensland as the research and innovation capital of regional Australia, revolutionising the impact the University currently has on the communities we serve. Our research is also beginning to speak for itself as last week one of CQUniversity’s research teams led by Dr Dr Corneel Vandelanotte, was awarded a national research grant valued at almost $700,000. Dr Vandelanotte's research is focused on finding effective and innovative methods to increase physical activity in large numbers of Australians at a low cost. He has designed and evaluated several innovative website-delivered physical activity interventions. What a fantastic achievement for Corneel and his team – congratulations! There are many education providers delivering options for distance learning these days, and Central Queenslanders can be proud that CQUniversity was one of the true pioneers of this trend in Australia. Studying by distance is increasingly becoming a viable way to gain a higher education qualification – particularly for postgraduate students who are already in the workforce and are looking to further their career or head in a new direction. Essentially, distance education provides greater flexibility and allows many people to gain a qualification that they otherwise may not be able to, due to work and family commitments or geographical distance. Studying by distance allows students to continue full-time work, care for families and stay in their local area. Distance education has moved on a long way since I studied as a distance student. I did an MBA on line – but this was quite a while ago and distance education has moved on a long way since then. The new on line programs offer an incredibly rich study environment. Our distance education students can study their course content through a range of distance-friendly tools including the use of online discussion forums, electronic library resources, direct contact with teaching staff, and receiving all study materials online or by post. All distance programs at CQUniversity can also be studied from anywhere in Australia. With the high number of institutions now delivering distance study options, remaining competitive in this area is a must, but we cannot let this get in the way of improving our offerings and providing the highest quality educational outcomes for our students. In a country as big as Australia, distance education is an absolute necessity and quality is paramount. Over recent years CQUniversity has done a lot of work to enhance our distance program offerings and the overall student experience by improving access to and availability of study resources. Students based in metropolitan areas have access to resources at our Brisbane, Sydney and Melbourne campuses, and students in Far North Queensland can now take advantage of the new study centre which was opened in Cairns recently. This network of study centres takes the loneliness out of distance study. Students can meet up with their fellow student, video conference back to other campuses and meet with our centre staff. Along with this we are also committed to delivering programs that are regionally focused. After all some skills shortages are a direct result of poor access to education and training in regional areas, meaning students have to leave their local area to further their education - with many not returning to offer their skills to that community afterwards. An example of overcoming this challenge is our new distance education Midwifery program. This program is aimed at increasing the pool of midwives available to regional Queensland communities, by offering a completely flexible program of study to our regional and remote students and encouraging them to stay in regional Queensland after graduation. Non-metropolitan areas should not be missing out on quality midwifery services because of a lack of flexible and accessible healthcare education and training options. Delivering this program will ultimately result in more midwives in regional communities throughout Queensland, overcoming skills shortages and promoting better healthcare for women and babies in these areas. By continuing to improve our distance program offerings and working with communities and industry to identify areas in which training is most needed, I believe CQUniversity is well placed to become Australia’s leading university for distance education, and this is one of the things that will make us a great university.